Burn videos to DVD easily on Windows and Mac. Edit videos with Crop/Trim/Watermark/Effects before burning to DVD. Offer 100+ free menu templates for DVD menu. Toolbox with functions of Data Disc, Video Editor, ISO to DVD, One-click to Burn, etc. The burning of data is done so that we can have a backup of the data in some external storage space. 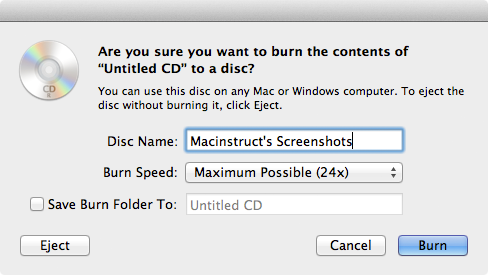 Just like the Windows system, the Mac OS can also burn CDs and DVDs. Using the burn concept you will be able to share the data with your friends and family easily. So, in this article, we are going to tell you how you can burn a data DVD on Mac which can be further used on different devices. Step 1. 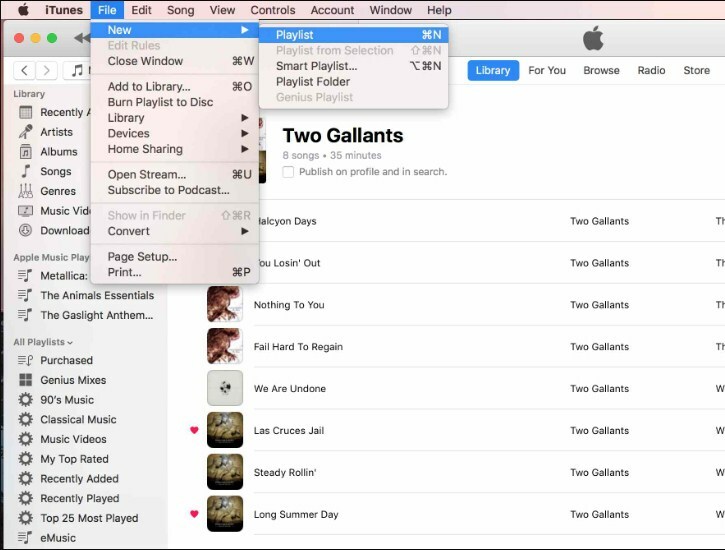 At first, create a playlist of the audio files that you want to burn on the data disc. Step 2. Now insert a blank disc and select the playlist. Then in the Choose file option tap on the Burn Playlist to Disc. Note: Make sure that the audios you are adding have a check mark beside it otherwise the playlist can’t be burned to the DVD. That’s because of the usage restriction of some files. Step 3. Select the disc format and customize the recording speed, perform a speed check and some other options. Step 4. Finally, click on the Burn button and the playlist will be burned to the DVD. You must ensure that the Data Disc in which you want to burn the data have enough space to fit the playlist. Step 1. 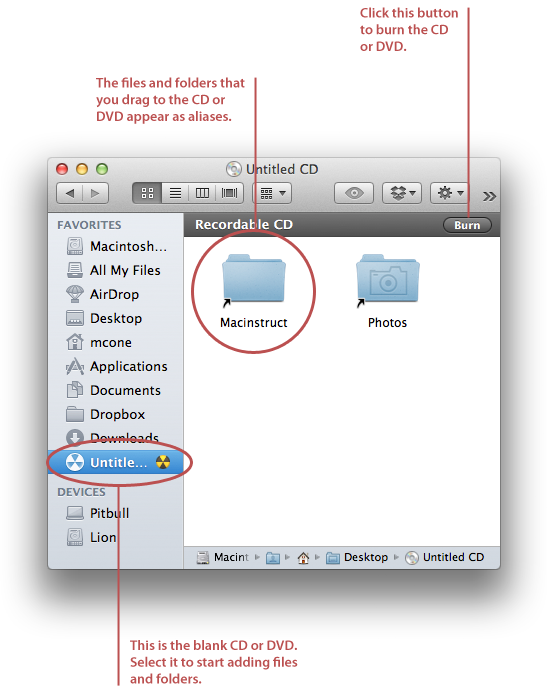 At first insert a blank disc into the Mac drive and a pop-up window will appear on the screen. 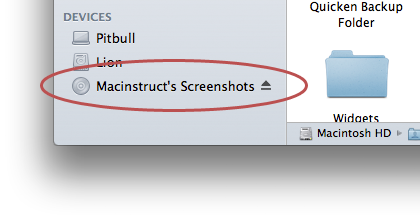 From the action menu of the window, select the Open Finder option and then tap OK. Step 2. Now open a new Finder window and the blank DVD will appear in the sidebar. Step 3. Now drag and drop the data files that you want to burn to the DVD. Technically speaking you are only copying these files, not moving them so the icons of the files will appear as aliases. Step 4. When you are done adding the files, finalize the data and then click on Burn option. Another pop-up window will appear on the screen asking you to add a Disc Name and Burn Speed. Enter the labels and then again tap on Burn and the process will initiate. Step 5. You will be able to see the progress in the status window. Once the files are burned, the data disc will appear by its name. Now eject the disc from the drive and share the files with your friends and family. 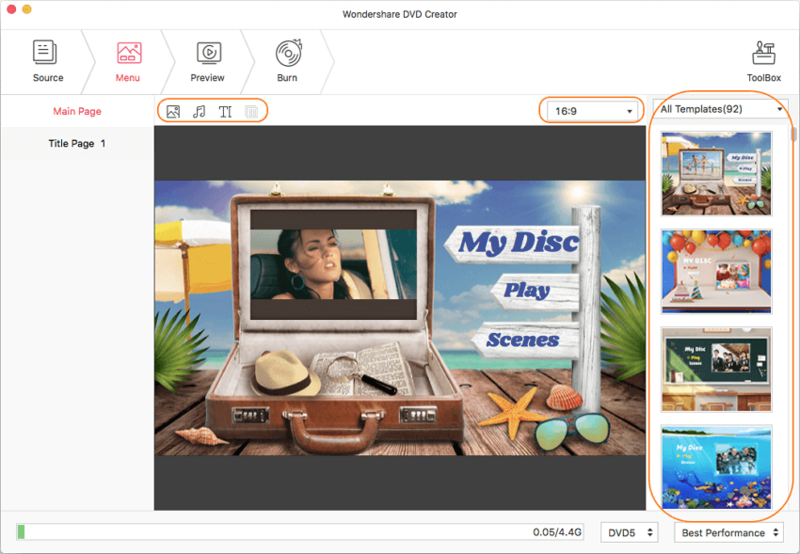 Rather than choosing the inbuilt software which has a little bit complex process to burn data disc on Mac or choosing the iTunes which can only burn audio files, you can select the Wondershare DVD Creator. 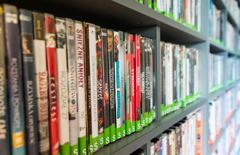 It is the most popular software that allows the users to burn all kind of data to the DVD discs. It can also create DVD files which can later be used on DVDs. It is a toolkit which offers complete solutions to the DVD creation process. You can also compress the files using this software. Many software results in quality loss and missing files during the data burning process, but the software also eliminates these risk and transfer the data without any error. The various features provided in the software makes it an ideal choice for the users. The software has additional 8 tools within the software and that’s why it is considered as the most powerful tool for the data burning process. •	The software has a video editor and slideshow maker so that the users can edit the photos and videos within the software. •	It offers two methods to burn the disc, one is the simple method and the second one is by choosing the One-Click Method. •	The software supports over 150 formats and has a very fast burning process. •	It has a simple to understand and simple to use interface. Users can choose over 100 static and dynamic DVD templates. •	It can also be used to create chapters in the disc. •	The best feature is that it can copy original files to the disc without any loss in quality. Step 1. Download the software on your Mac and then install it. 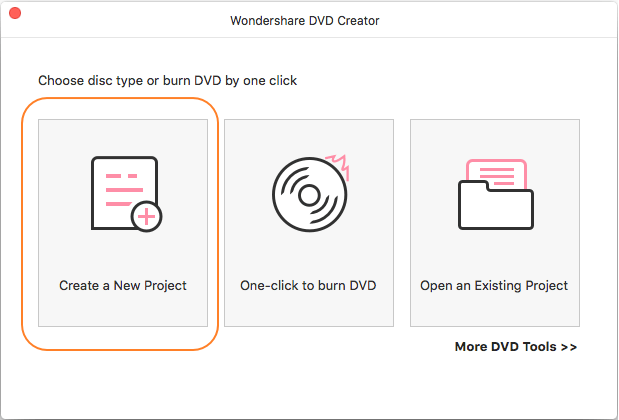 Now launch the Wondershare DVD Creator and from the main window tap on the “Create a New Project” option. Step 2. In the next screen, you will see a + icon. Tap on it to import the files or drag and drop the files into the software’s interface. The added files will be displayed on the screen with their format. 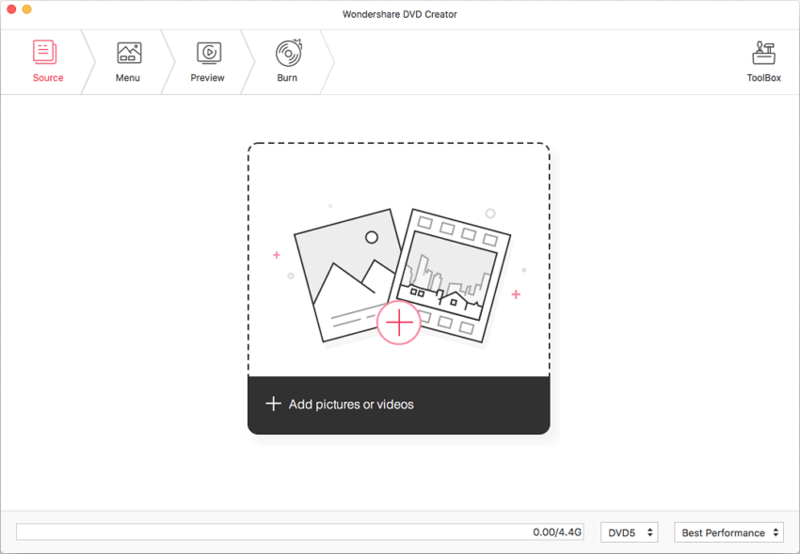 Step 3.If you are adding a video file or photos, you can also use the Slideshow maker and the Video editor within the software. Step 4. Now, customize the DVD template and have a preview of the files. Finally, click on the next button and you will be navigated to the next screen where you can burn the files. Tap on the Burn option at the bottom of the screen and the system will initiate the process. 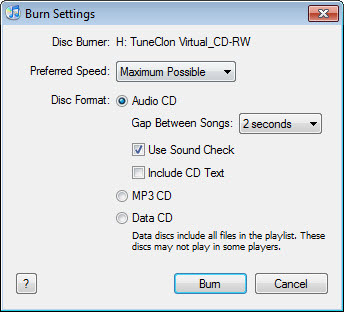 You must choose the Burn to Disc folder if you want to burn the files to the Data Disc. Also, remember to insert a disc in the drive before you begin the whole process. You can also save the file as DVD folder if you don’t have a DVD disc available at the moment. We now know that there are several ways that can help us to burn data DVD on Mac. Even the OS has its own process to burn the data disc. 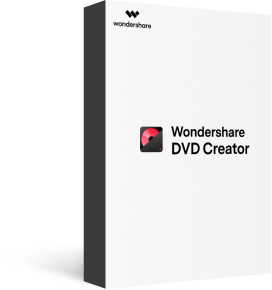 But using some third party software like Wondershare DVD Creator can help the users to save time and have a better quality transfer without any data loss. 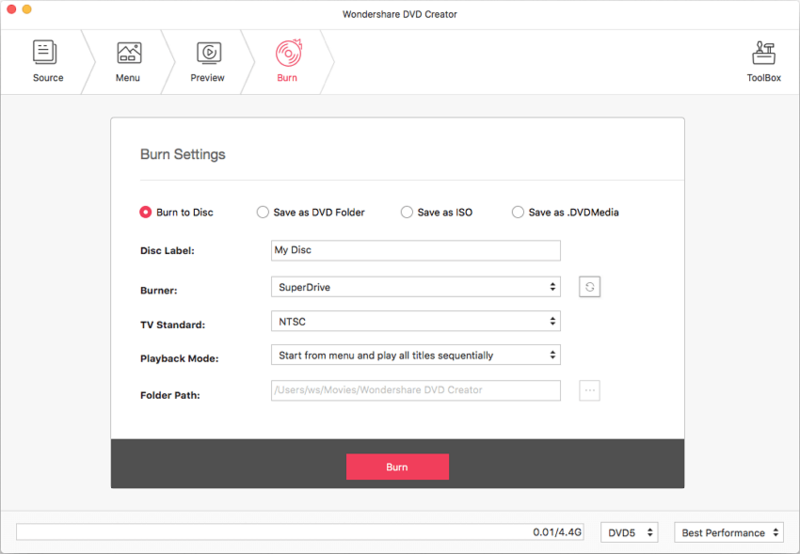 So instead of burning the data disc using iTunes or Mac’s software, use the Wondershare DVD Creator to burn all kinds of data files and get a backup of those files. You can also use the software on a Windows platform to burn files and share them with Mac OS or Linux.